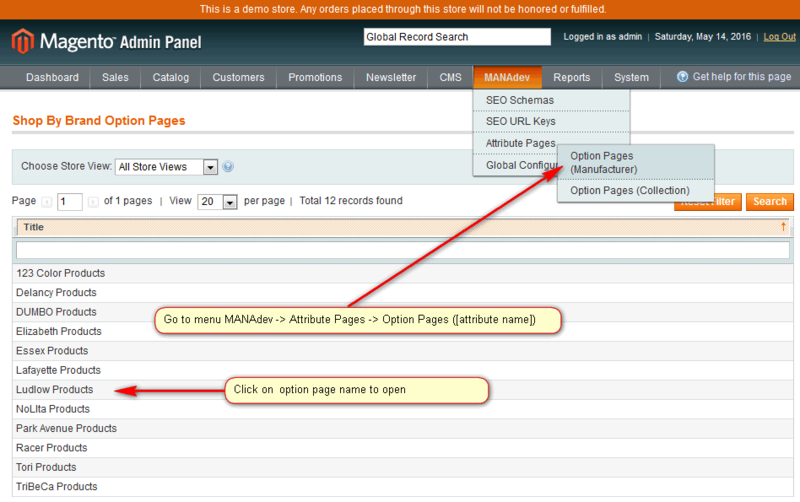 In order to create or edit option page settings, go to menu MANAdev -> Attribute Pages -> Option Pages ([attribute name])) in Magento Admin Panel. Click on existing option page record in order to edit configuration. Section contains information about option of the attribute or combination of options of all attributes current option page based on. This information is maintained by extension automatically. When new option is created for an attribute, which is basis for related attribute page, same time option page appears in frontend with default settings. 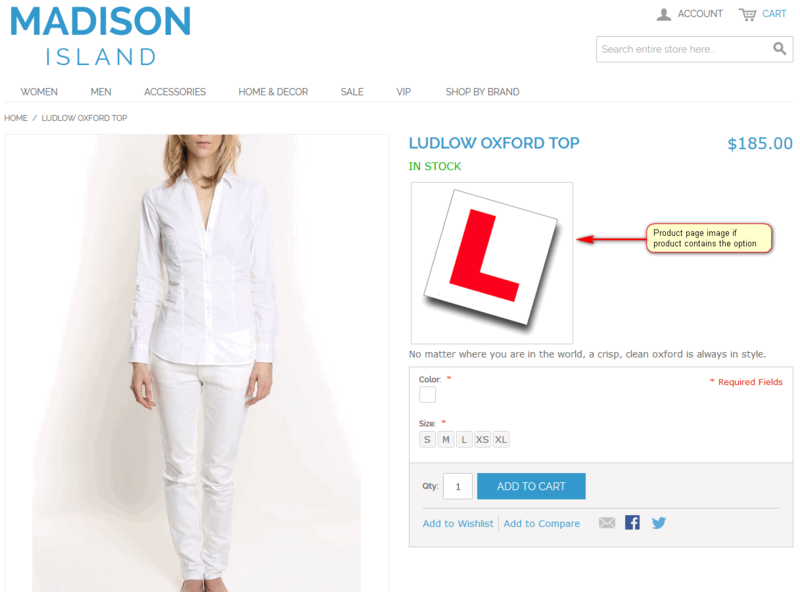 Section defines the layout of option page. Featured - Is featured image is shown in featured block? IMPORTANT: URL key should be unique for whole store view in order to avoid URL key conflict, which happens when one and the same URL is used for different purposes. 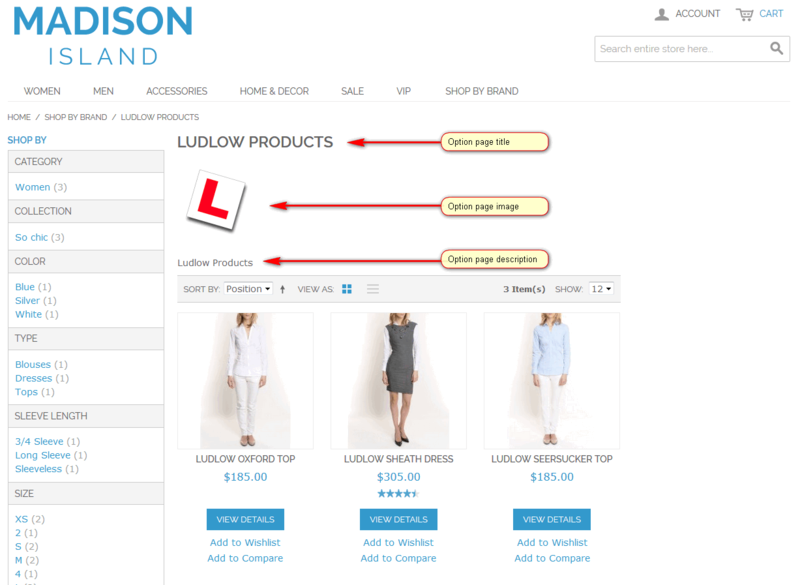 The Custom Design tab gives control over the look and feel of a option page, including the theme and page layout. 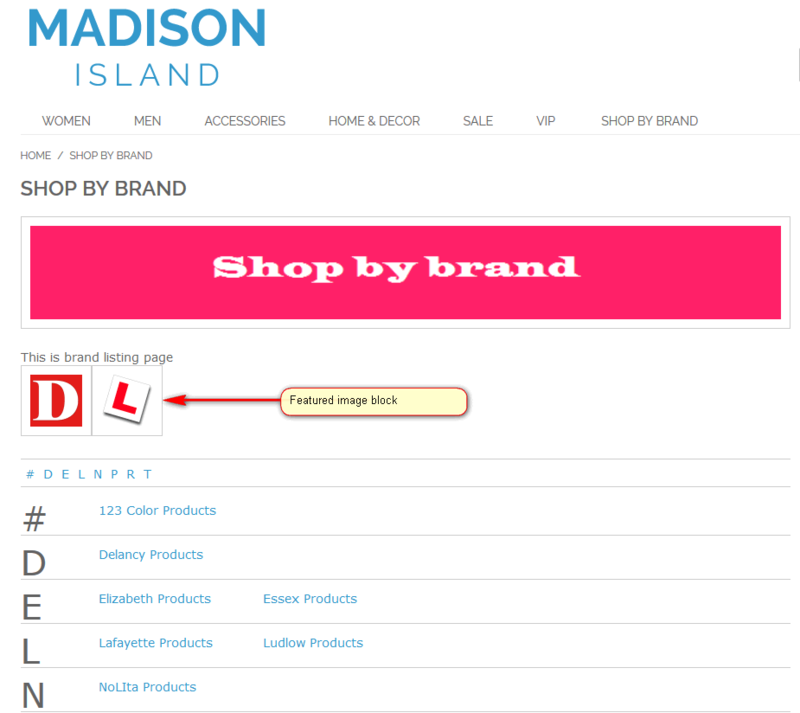 Design can be customized for a promotion or to differentiate the option page from other pages and increase sales.